To prosper in today’s retail environment, small retailers need to adopt a strategic plan that enables them to adapt to the ever-changing market. 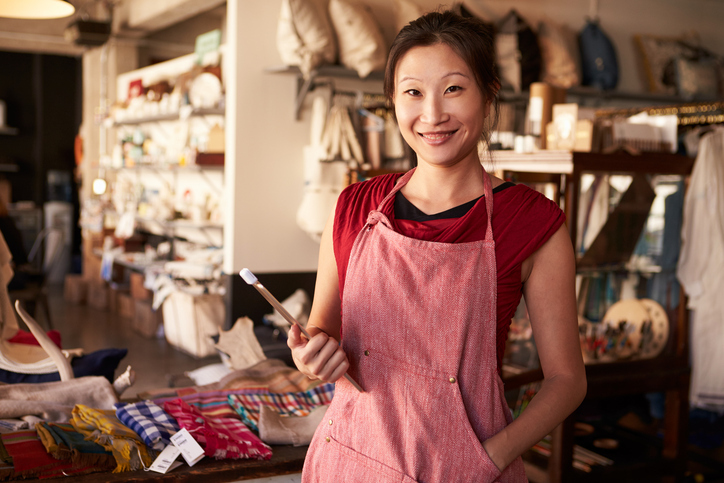 In Part I of “Secrets to Managing a Store Successfully,” we covered three store management practices small retailers need to adopt to remain competitive in today’s cut-throat market. In today’s post, we define four additional best practices store managers can adopt to improve store operations. What do you want to achieve in your business? Do you want to reach a specific sales value? Do you want to be able to increase your salary? Do you want the majority share of the industry in your metro area? Decide on what you want to achieve, and determine strategies accordingly. If, for example, you want to reach $1,000,000 in sales this year, meeting that goal should be the objective that drives the rest of your retail operations. You'll want to focus on sales-related KPIs, perform analyses into which categories of product sell the most, and see which kinds of shoppers make significant purchases. Armed with this information, you can do things like increase stock in high-yield product types, tailor marketing toward your biggest spenders, and draw conclusions based on monthly sales statistics. This said, it's also essential to ensure your goals don't overshadow general business sense. Sinking $200,000 in marketing expenses to reach your sales goal isn't prudent or productive. It’s important to understand the lifetime value of your customers before you make any investments. As the manager of a small retail operation who is likely juggling many hats, it's common to unknowingly neglect or ignore the seemingly minor issues rather than tackling them head-on. However, doing so can be a grave mistake. Without placing immediate attention to these problems, a manageable challenge can easily spiral out of control. Say, for example, your KPIs are indicating declining sales after a store reorganization. Instead of assuming it's a fluke, it's up to you to take immediate action. If your sales per square foot were previously higher, and your sales in what used to be a significant category declined, you can assume that rearranging your store played a significant role. Instead of waiting to see if things improve over the next six months, take action now, or risk losing tens of thousands of dollars in sales each month with no plan to turn things around. This goes for employee issues as well. If a rude employee results in a negative Yelp! review, you need to talk to your problematic team member today, not next month at the team staff meeting. Ignoring the issue could lead to continued customer service issues and a declining business reputation. As the adage goes, you're only as good as your weakest team member. When your team isn't skilled, your overall performance won't be good either. This includes management practices. The better your talent, the more likely your employees will be to stick around and give your store their all. Clearly and efficiently describe job postings. Employees should know what to expect before settling into a new role. Be reasonable and realistic. When your job posting meets industry standards, you're likely to receive a broad range of resumes that fit your general specifications. Going too far outside the box, like demanding college degrees for retail associate roles, can compromise the success of your search. Pay appropriately. A minimum wage policy may be good for your bottom line, but it may not help you attract high-quality employees. If budget is a concern, incentivize employees with unique perks and benefits. Recruit with a focus on performance and cultural fit. An employee with a bad attitude will bring down the team, no matter how good they are at sales. Interview thoroughly. Just because someone sounds good on paper doesn't mean they'll be a great employee. Make conversations with candidates as in-depth as you'd like, and be sure to follow your instincts, at least to a point. Someone who seems a little off may very well be a poor fit. Screen as needed. Background checks and reference checks aren't just formalities; these kinds of screenings can help you be sure that your candidates are who they say they are. Make sure training is thorough and comprehensive. Employees need to start out armed with tools for success, and the better your training is, the more prepared they'll be to face both day-to-day tasks and extraordinary events. How you work with your employees can play a significant role in how they work for you. When your persona is aggressive, strict and exacting, you may find yourself with a high turnover as employees are afraid of you. On the other hand, if you fail to set rules and boundaries, your employees may begin to take a lax approach to store policies in a way that hurts your brand identity. As a manager, it's on you to provide stable, reliable leadership that does not belittle, bully or undermine. A coaching management style is often recommended, especially for small teams. Combining authoritative and affiliative management styles, this variation on leadership balances independent decision-making with group input. Players can make suggestions that would boost morale and performance; coaches decide whether or not these ideas have merit. For example, it's up to you to determine when employees begin preparing for the day. If you want this time to be 5:30 a.m., that's fine – but if employees start speaking out about an inability to do quality work so early in the morning, you may want to consider moving your time back a little so that employees feel less tired and stressed. However, if you feel that this isn't a good reason and such a start time is warranted, it's on you to stand firm and stick to your guns. By thinking of yourself as a leader who provides guidance and support rather than a ruler who lays down the law, you are much more likely to foster a supportive and industrious environment. Management isn't necessarily a natural skill, but the more time you invest in getting things right, the better you will become at optimizing tasks, leading your team, employing technology, and managing conflicts quickly and appropriately. With these seven secrets, you can learn how to manage a store successfully.